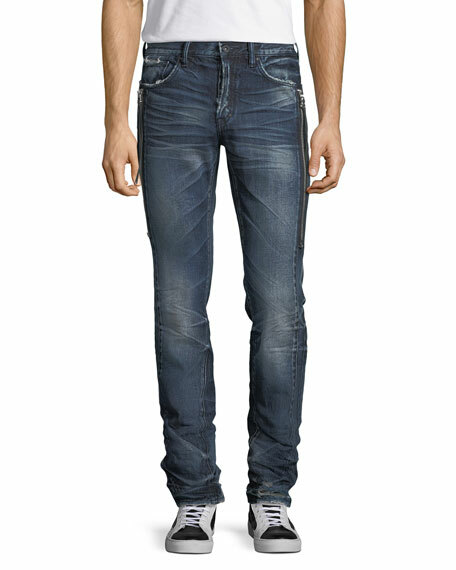 Prps "Le Sabre" fit jeans in deep indigo denim with three-dimensional whiskering and fading. Approx. measurements: 8.8" front rise; 14" leg opening. 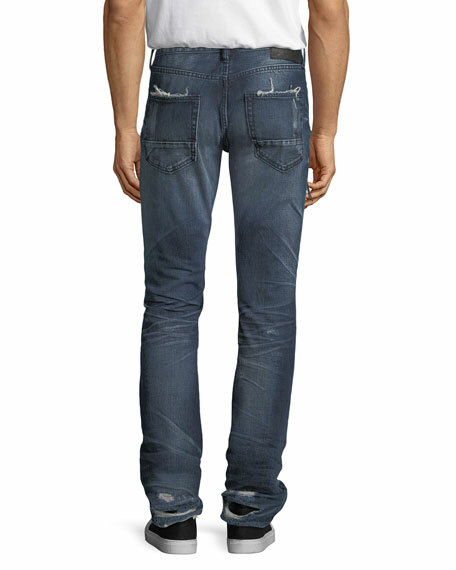 Five-pocket style with distressed edges. Leather logo patch at back waists. Exposed vertical zippers at sides. Narrow fit through tapered leg. For in-store inquiries, use sku #2330856.